The University of Manchester has a world class music department, with exceptional faculty in musicology, composition and electro-acoustic composition. In common with many British universities, they also have a very active student-run Music Society. What is perhaps unique in Manchester is the very close relationship between the Faculty and the student run Music Society. This makes for an incredibly vibrant atmosphere and much music-making of extremely high quality involving students, permanent and part-time faculty, and several professional ensembles in residence. 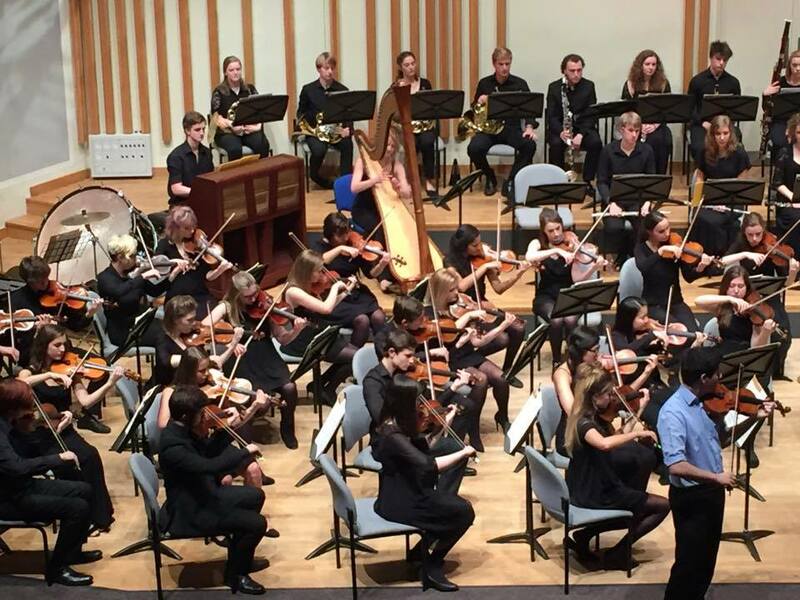 In 2009 we redefined the way many of the official departmental ensembles and the student-led groups operate and created an unrivalled programme of high quality orchestral activity (often favourably compared to the standards of some Conservatoire orchestras) which has fantastic opportunities for student conductors. After an initial audition, 1st year students have a series of workshops in order to develop their skills before a mor rigorous audition process later in the year. There is then a 2nd year module which builds on those foundations and explores the craft and technique of conducting in more detail. Most students who elect to take this module have ambitions to conduct orchestras and ensembles. Outside of the curriculum, all returning students are eligible to audition to be part of a conducting pool of 6 - 8 students. 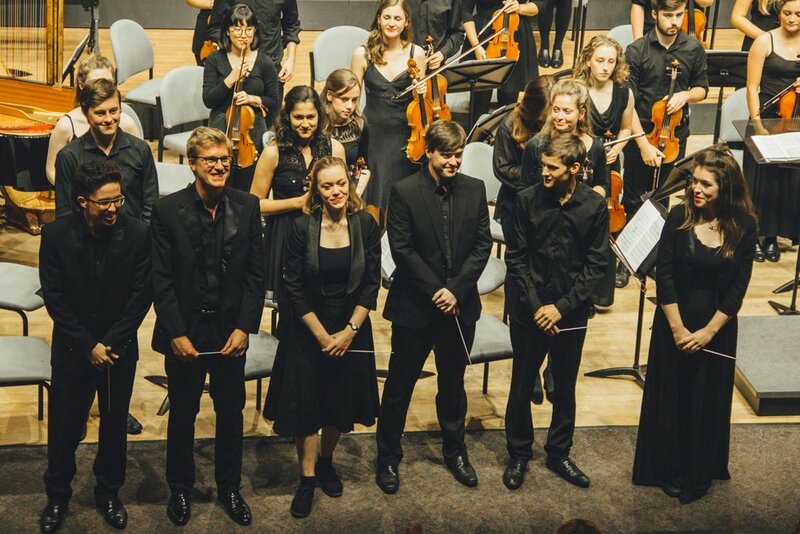 Following preparation sessions and a 3-stage audition process, the successful students then have conducting opportunities with symphony, chamber, opera and wind orchestras, new music groups and brass ensembles, working in collaboration with a student Programming Manager who has responsibility for the year's activities. There is no distinction between "University" and "Student" groups. In major orchestral projects, students may conduct a couple of shorter works. For a concert of string orchestra and brass ensemble, 3 or 4 students may share it between them. A programme of smaller ensemble works may involve several. Student conductors will also take sectional rehearsals and assist with projects involving the University Chorus. Typically the students will conduct in 6 or 7 concerts over the year. Final year undergraduates, provided that they have taken the 2nd year module and provided they are successful in gaining a place in the Conducting Class, may elect to take Conducting as their principal study in performance in their 3 year. They are then assessed on 2 separate orchestral performances. Recent and current students who are rapidly making their way in the conducting world are Duncan Ward, Jamie Phillips, Robert Guy, Leo Geyer, Jack Sheen, Tom Goff and Ellie Slorach. You can read about them on the teaching home page. After 10 years, I relinquished my position a the University at the end of the 2017/18 academic year, and am delighted that one of my first conducting students, Rob Guy, has taken over the reins.